Using video in our marketing has become the norm and everyone is using it these days. Not so long ago we didn’t have many choices or options for creating video and when tools like Animoto first arrived it was pretty exciting. Since then video is an every day tool used by marketers, consumers and it’s here to stay. With so much video about how do we make our marketing videos stand out? Well, one way we know for sure is to get the viewer engaged in the video and what he or she is watching. That can in fact be done in multiple ways, and i think we can all agree that higher quality, informative content is always going to outperform when it comes to retention and conversion. 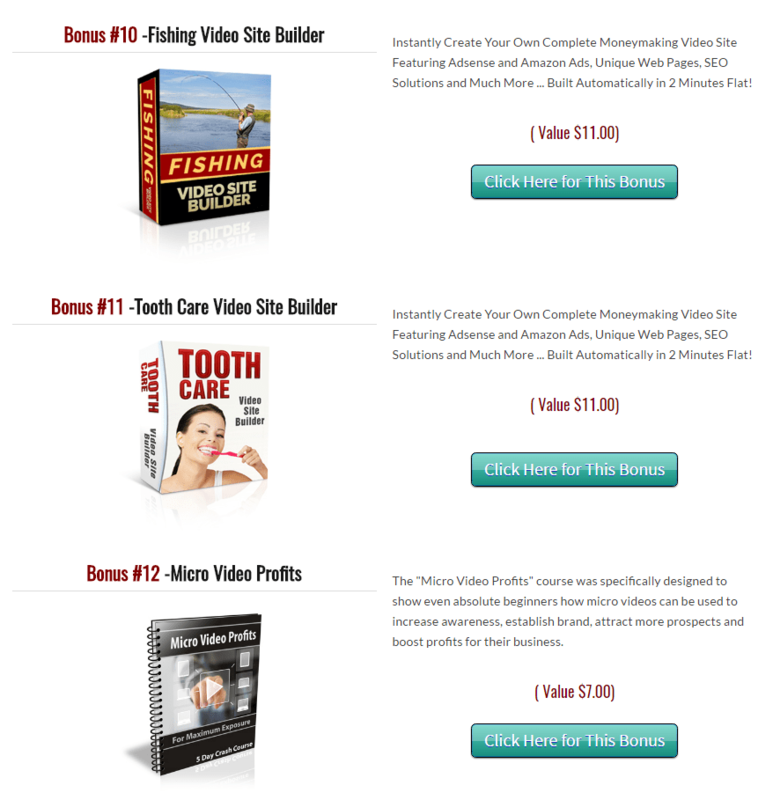 There have been many tools released in the past 2 or 3 years alone and the choice is pretty wide ranging now for video maker software, and when we look at the sales videos they all look pretty easy to use. But… When it comes to using many of them the reality is much different and often with a steep learning curve. From my own experience i have either got review copies or bought the top video making tools in the JVzoo marketplace and here’s the thing, i never got into them as when i tried each one i discovered that i needed to invest a decent amount of time to learn how to use them properly. Now, i know i’m not alone and that many of you reading this will probably be familiar with the exact same experience for tools like Video Maker FX for example. Its not that they are bad tools, its just finding the time needed to spend to get engaged with the training, so we end up making excuses about finding a Virtual assistant to learn them or buy them on fiverr.com. So, many of us are still looking for a tool that are easy to use and that we can learn fast and make great videos that convert. So how do we get our videos to stand out? Well, here’s a simple marketing hack that you probably already know. Videos that force you to read them and with kinetic animation will hold your attention. I mean, its kinda hard not to follow along once you get started right? 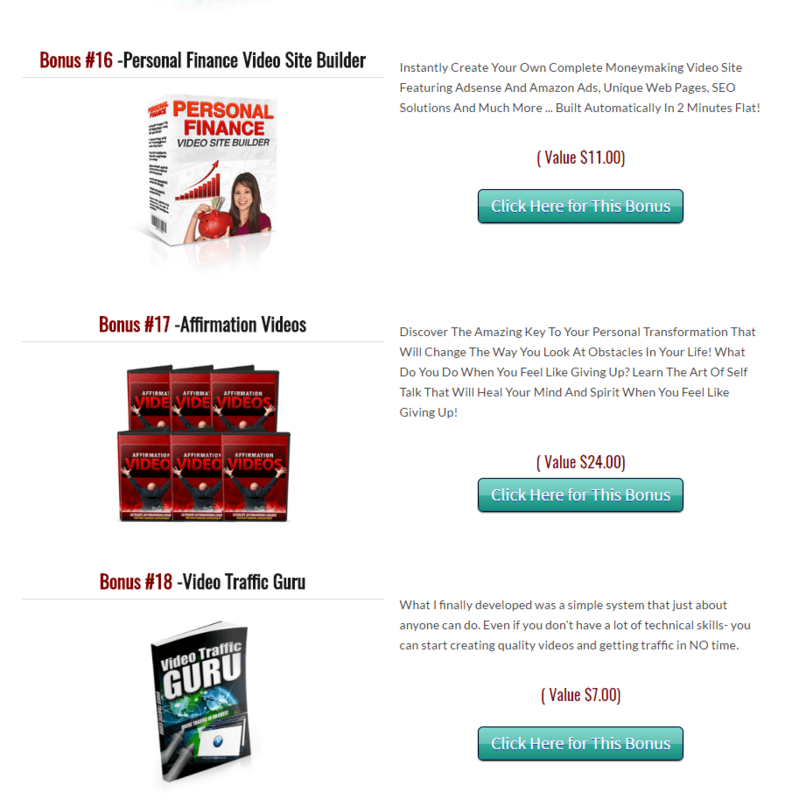 And best of all, super easy to do high converting affiliate and even YouTube Ad videos! Another major plus is that its really low cost for what it can do. The tool is called Kinetic Video Animator, its created by Scott Hamlin and he has created the perfect solution for marketers like you and me to do everything we need to create high converting videos quickly and easily. Kinetic Text Animator gives you the power to create high quality text animations over your images and/or videos to easily create videos of any length and dimensions with little or no video experience. Below are some examples from the tutorials which show the diversity in using this tool and making it worth spending an hour or two learning​ and as you can see the videos are quite short, easy to consume and presented clearly. Lets take a look at the sale page video first and at the bottom of this post we have a recorded webinar that Stephen Henbie did with ​Scott Hamlin, the creator of the tool. We brought Scott Hamlin on for a demo and chat session which Stephen Henbie recorded and this shows the tool in action over the shoulder. Stephen has been using the tool regularly and really grabbed my attention when he told me about some of the results has has been getting for retention rate and also from doing low cost YouTube ads. There have been some updates and new features added since then and that’s a great sign that the tool is being maintained well and will keep improving. As you will quickly see when watching this video and listening to Scott chatting, he is very engaged with the product and excited about his tool, he really is doing a great job of maintaining it and thinking on ways of improving it all the time, which really does make this tool incredible value at such a low price point at the moment. I’ve been using so many different video marketing softwares and reckon this is the best around to make your video stand out. 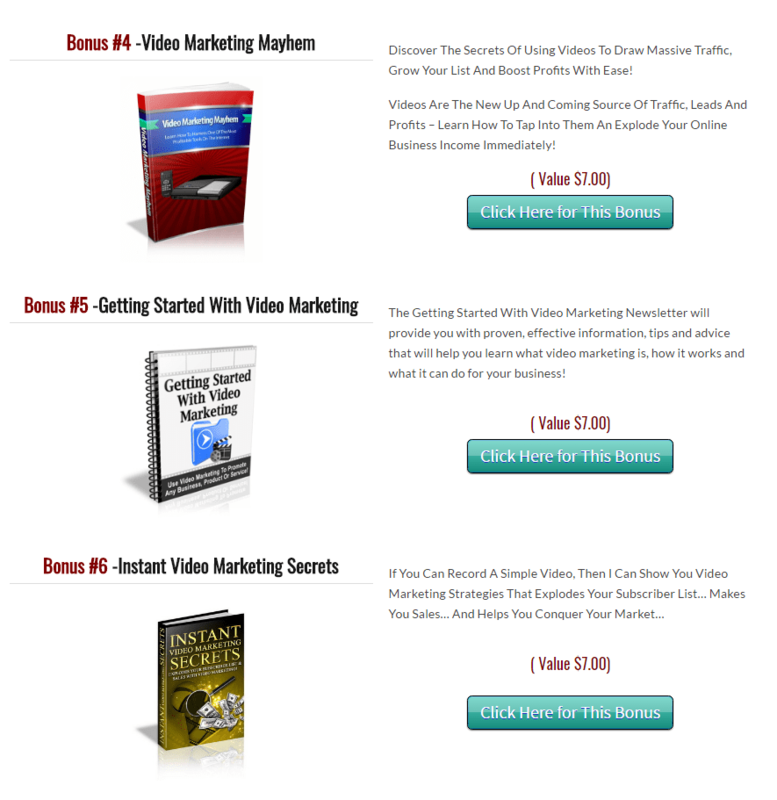 Using these videos will increase your videos CTR. Increases retention, and allows me to create fast video ads that would otherwise take a lot longer or cost money to get made. For a limited time you can purchase Kinetic Video Animator​ for just $37.00! 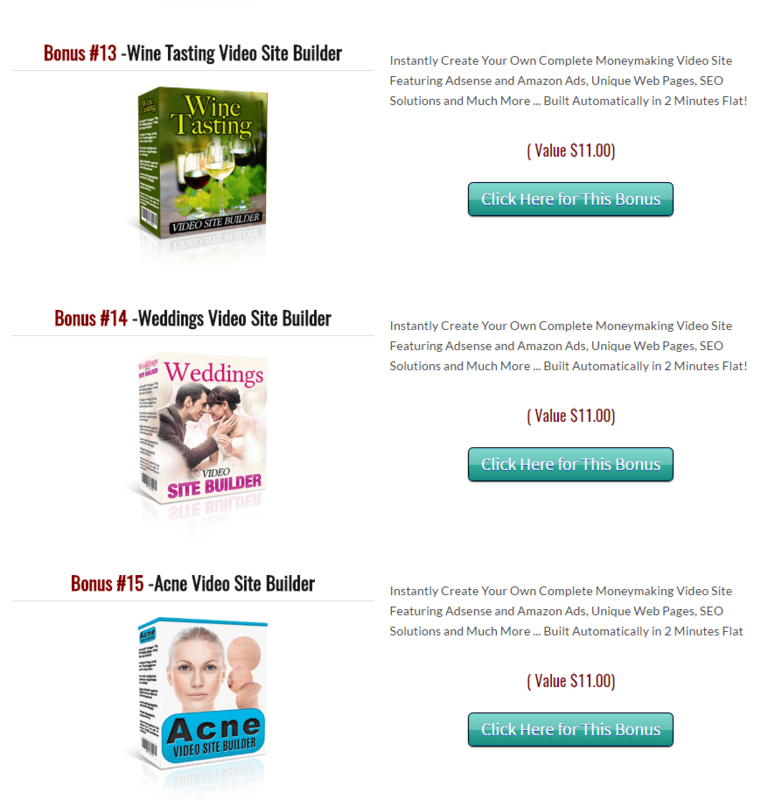 As always with marketing products, they come with a bunch of pre-done bonuses, i have grabbed the screenshot ﻿and listed them all below..
One Time Cost, Just $37.00! Go To The Sales Page Now!